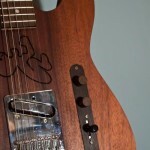 The minimal design of a Telecaster that for decades has been the standard for electric guitars, intrigued us. 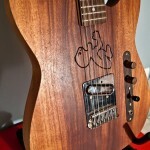 A new series of Tele has been designed and the first is ready. 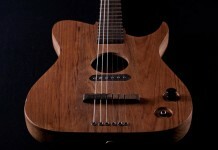 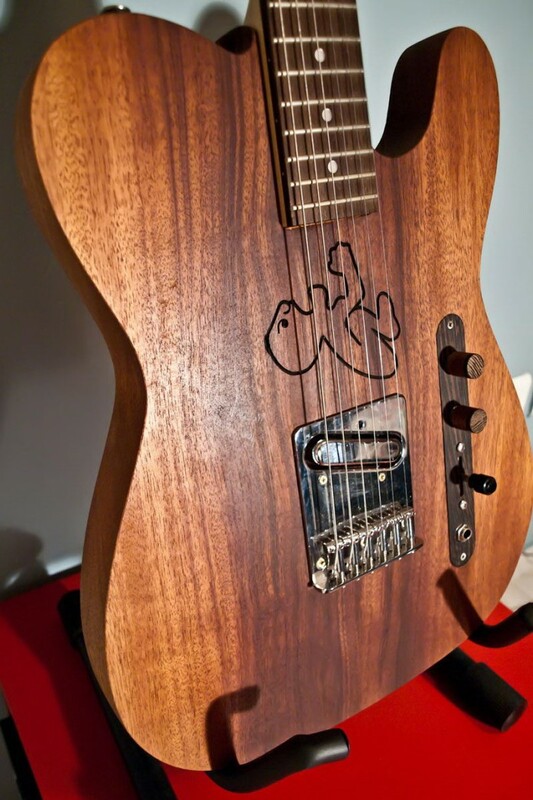 Our first handiwork is a guitar with a solid body made from one piece of red mahogany, on which we use only oil in order to let the wood breathe. 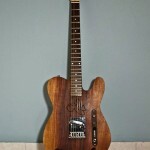 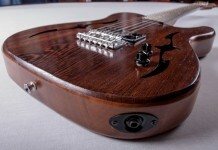 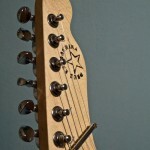 The neck is made from maple with rosewood on the fretboard. 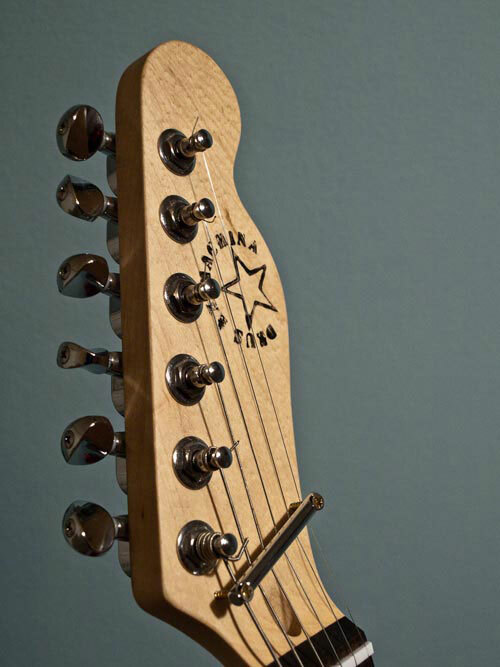 A Fender nickel bridge hosts one pickup from Kent Armstrong‘s collection. 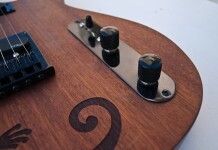 The buttons are also made of wood. 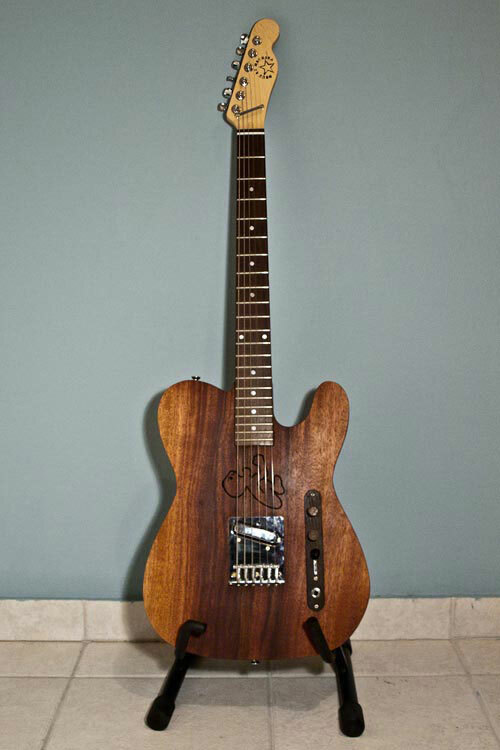 We’ve put on Gibson Vintage strings for a rich sound and after it was amplified a classic blues-boogie sound was achieved. 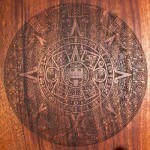 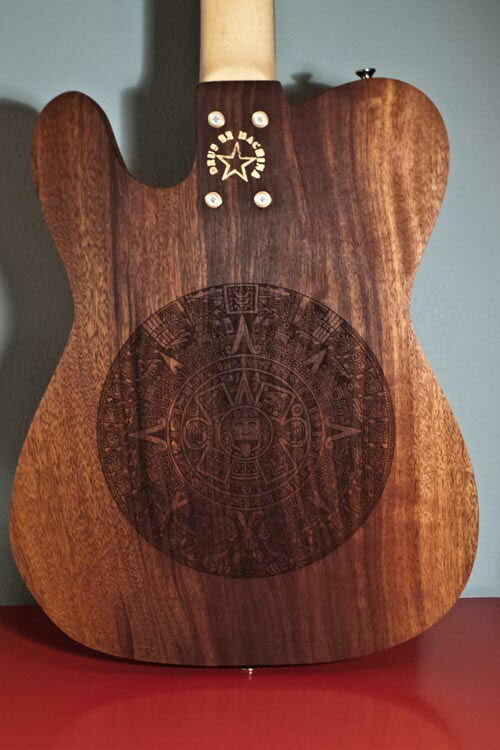 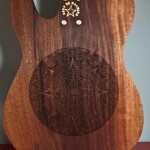 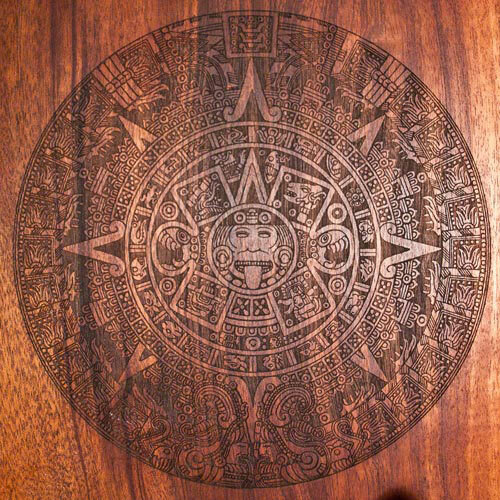 The guitar is as minimal as can be with the only exception the Mayan Calendar on the back body, created with a laser in order to achieve the details. 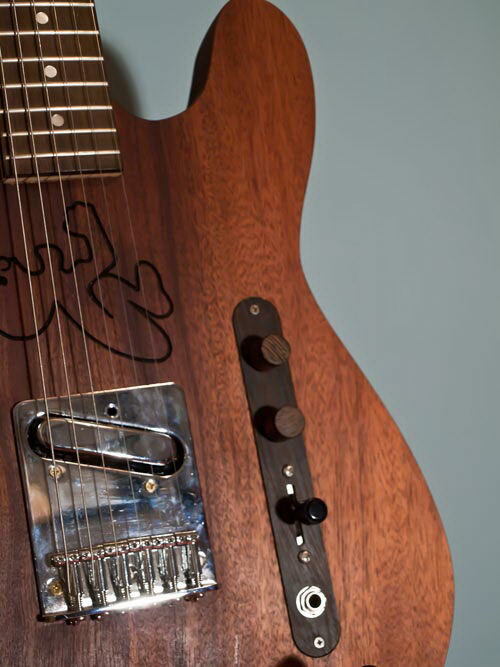 The “angry baby” on the neck pickup is the owner’s choice.